•The Padre is out now•Holmes & Watson (Blu-ray) – Movie Review•Xenon Racer – Review•The second phase of the Warhammer: Chaosbane closed beta has begun•Down To Hell – First episode out now! 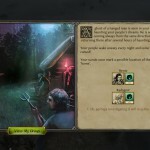 Thea: The Awakening is MuHa Games’ newest turn-based strategic survival game. You’ll play as a god and micro manage your town and its inhabitants and rebuild the land after a century of darkness. 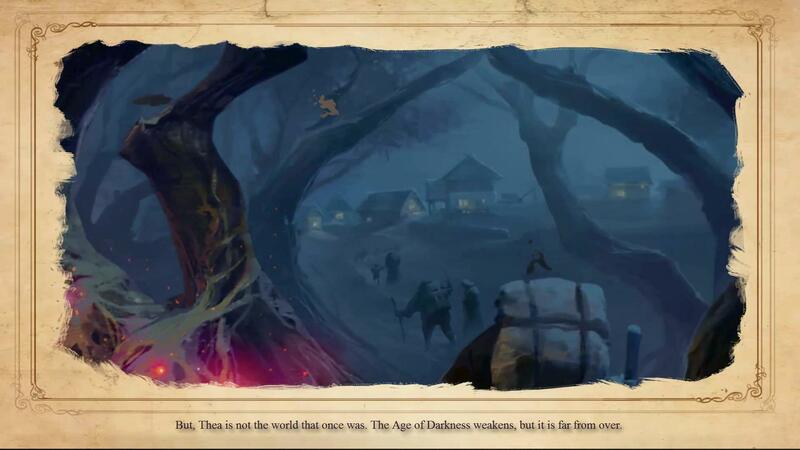 Discover a huge randomly generated world, collect or craft over 4000 items, slay over 100 deadly creatures inspired by Slavic Mythology and most importantly, don’t die! The game takes place in Thea, which was once a very peaceful land. However, with the fall of the pillars of the world, Darkness descended on all of Thea. Now, after 100 years without light, the Sun rose once more. However, Thea isn’t what it used to be, the Age of Darkness isn’t as strong as it used to before, but it’s far from being done. The creatures that inhabited the lands during the Darkness now roam free and they don’t want to give it up in any way. Your job is to rebuild Thea and banish the Darkness once and for all. Overall, the story in Thea: The Awakening is extremely good. Not only is there the main story line you can follow, but there are countless story driven events that you can take part in, or ignore them if you wish. There’s a lot of reading involved, but you’ll recognize the main story when the dialogue is voice acted, which makes it easily distinguishable from side quests. Graphics wise, Thea: The Awakening is very pleasant to look at. It’s not overly detailed but it looks really nice all in all. The map looks like a barren landscape, which fits together greatly with the story. 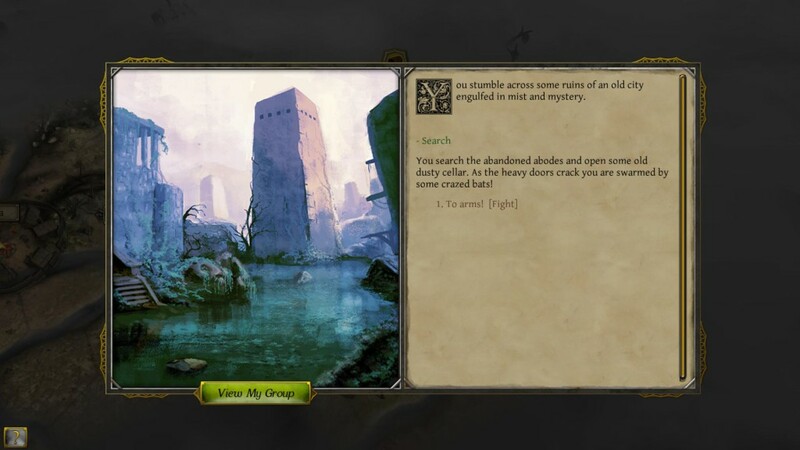 Also, the text dialogues when doing a quest or event always have very nice drawings next to them, making it even more pretty. When it’s night time, your map will also adjust according to that, giving you less vision and tweaking some gameplay elements as well. When looking at performance, Thea: The Awakening is a fairly easy game to run. It also has some small settings you can tweak like anti-aliasing, ambient occlusion, map quality and VSync. You can also set an FPS limit if that floats your boat. It’s not the most versatile options menu, but it works for this game. The sound effects and music in Thea are actually great. The music is mostly ambient, but it’s actually really nice if you pay attention to it. Sound effects are also fairly good and go together well with the rest of the game. Thea also has a fair bit of voice acting as well, the dialogue at the start is very well narrated and some elements in the game are narrated as well, like main story line dialogue. 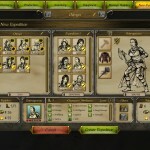 Thea: The Awakening is a turn based RPG strategy game by heart. You play as a god and have to micro manage your village in order to restore Thea to its old beauty. You do this with your mouse and keyboard of course. Left clicking is obviously used to select things and right clicking to move your party. Your keyboard is mostly used for shortcuts and it’s really recommended that you use them, it’ll make everything much smoother rather than dragging the mouse around all the time. The goal of the game is obviously to survive, but in second instance you also need to complete the story line. There’s only one game mode which you can play, but it features loads of replay value so you shouldn’t worry about getting bored too soon. In the beginning of the game, you might get a little bit overwhelmed as there’s a lot to learn. However, there’s a great tutorial that will step you through everything you need to know and you’ll be off to conquer the lands once you’ve mastered it. Your main concern in the beginning will be food and fuel. You can gather these in your town by assigning townsfolk to gather resources. After every turn, you’ll gain a certain amount of resources, depending on the gathering skill of the people you put up for the task. 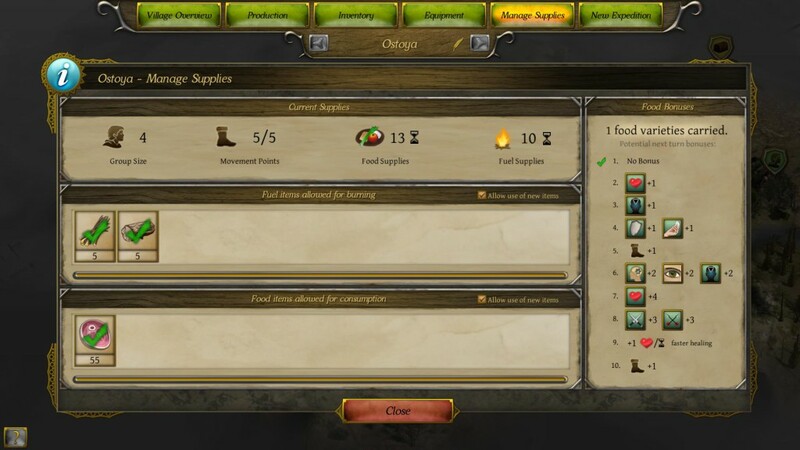 You can also craft things like armor, shields, weapons or construct buildings in order to help you survive. However, you can’t stay huddled up in your base forever and you’ll have to wander out eventually. You can do this by creating expeditions, you simply select the townsfolk you want to go out (preferably warriors if you plan on going to battle), give them some food and fuel and you’re good to go. The game board is divided into hexagons, and units can only travel a limited number of hexagons, depending on their stats but also the weight they’re carrying. You can move your units onto objectives in order to progress, but you can also hunt enemies or even set up a base camp and gather resources from there that you can’t get in your base. The more things you explore, enemies you kill and items you craft, the more experience and research points you’ll get. Experience points will level up every unit you have, increasing their stats slightly. Research points can be used to discover new recipes to craft, new structures to build or new resources to gather. It’s like a talent tree you can build in order to make the things you think you’ll need later. Probably the most challenging thing in the game is combat and random events. Every once in a while, you’ll get a random event in either your town or one of your expeditions. These can be good events like a magic creature infiltrating your city and giving everyone a stat boots, but it can also be really bad to the point where all your townsfolk are heavily poisoned. It’s up to you to manage your units and get everyone to safety. Combat is also pretty tricky: it’s a card game! Yes, a card game, you read it correctly. Whenever you go into combat, you have the option to auto play or play the card game. The card combat is actually extremely complicated (at least to me), so a lot of players will be better off always choosing auto play. Once you’ve finished the game either by finishing the story, having no more units left or quitting yourself, you’ll get some score based on your performance. This score will level up the god you play as, giving you some interesting bonuses. In total there are eight gods you can play, but you’ll have to unlock most of them as you go. Also, did we say the game is completely randomly generated? Yes it is! You’ll never have the same unit, map layout or outcome, which makes it all the more fun. 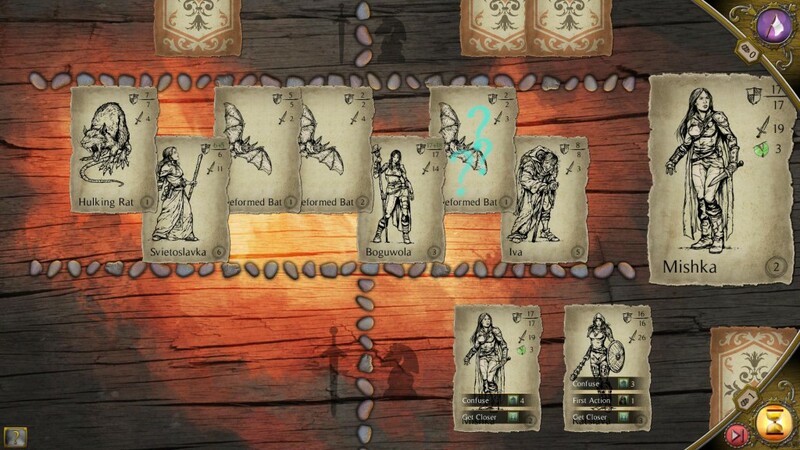 Thea: The Awakening is a welcomed addition to the turn based strategy genre. It has great micro management, a good story, great replay value and it’ll keep you playing for hours until you beat the game for the first time. The only downsides are the card combat which isn’t that fun as it looks and some minor issues with the UI, which could make your life a lot easier if addressed. Down To Hell – First episode out now!